I visit University Burger every once in while for one reason: their Ice Scramble Milkshake sends me back my childhood. I come back to University Burger for their Ice Scramble milkshake. 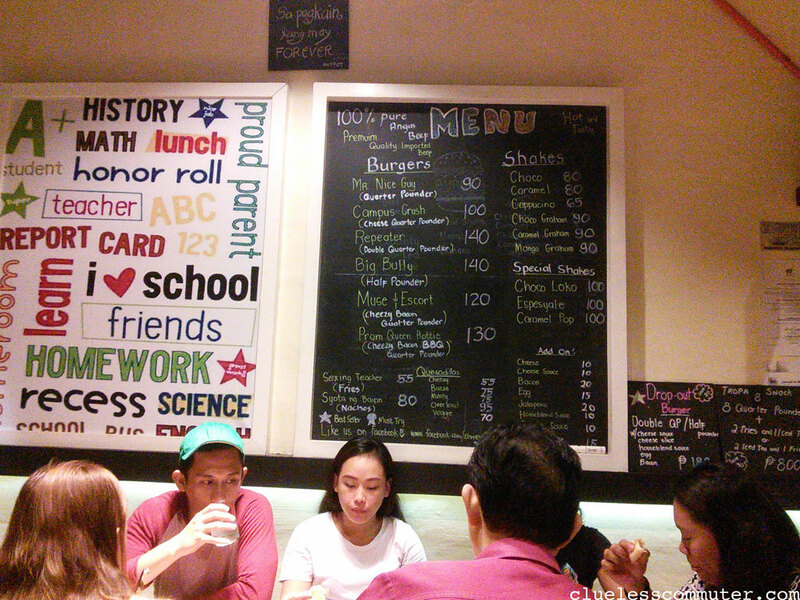 University Burger is a new burger joint on JP Rizal Avenue in Poblacion, Makati. It’s sending waves because of its affordable, home-grilled, yet agreeable Angus beef patties. If you’re on a tight budget but are still looking for great-tasting burgers in the metro, consider this your day. University Burger’s quality home-grilled burgers. 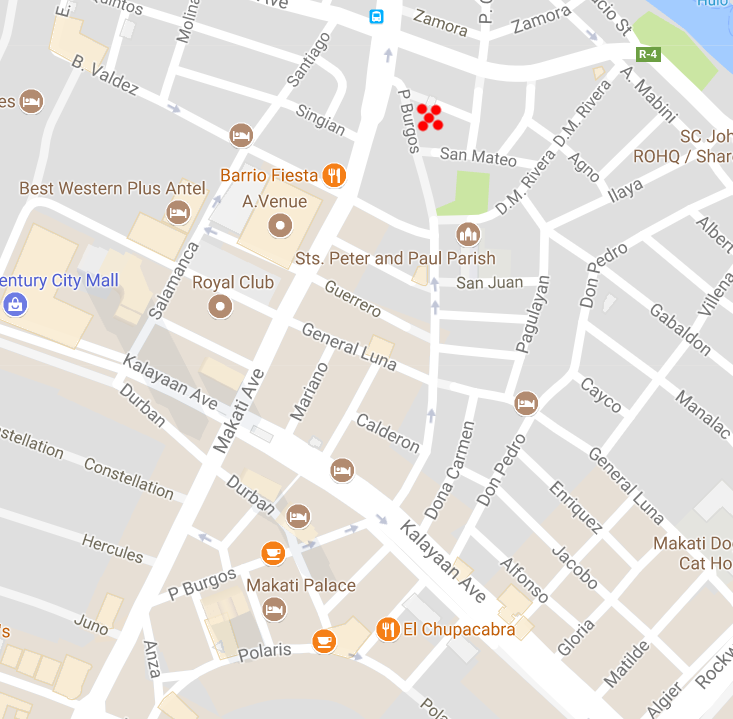 The shop is two blocks away from Makati Avenue if you’re coming from the Makati City hall complex. 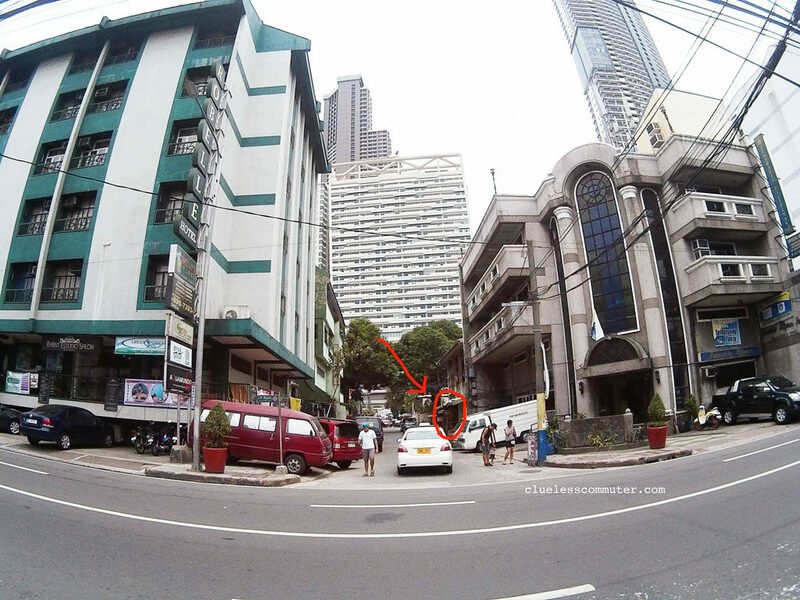 Look for Robelle Hotel and Funeraria Filipina along JP Rizal Avenue. The tiny street between these two landmarks will lead you straight to University Burger’s doorstep. If you’re commuting from EDSA-Guadalupe, find a jeepney that goes to L. Guinto or Munisipyo ng Makati. It will pass through JP Rizal. After the jeepney crosses Makati Avenue, go down at Robelle Hotel. It’s a huge green building to your left. University Burger is on the street next to it. You’ll recognize the joint by its chalkboard-decorated interior and yellow-lit, high-school-hangout vibe. Their shop caters to budget trippers! You can get a home-grilled meal for as low as Php90. 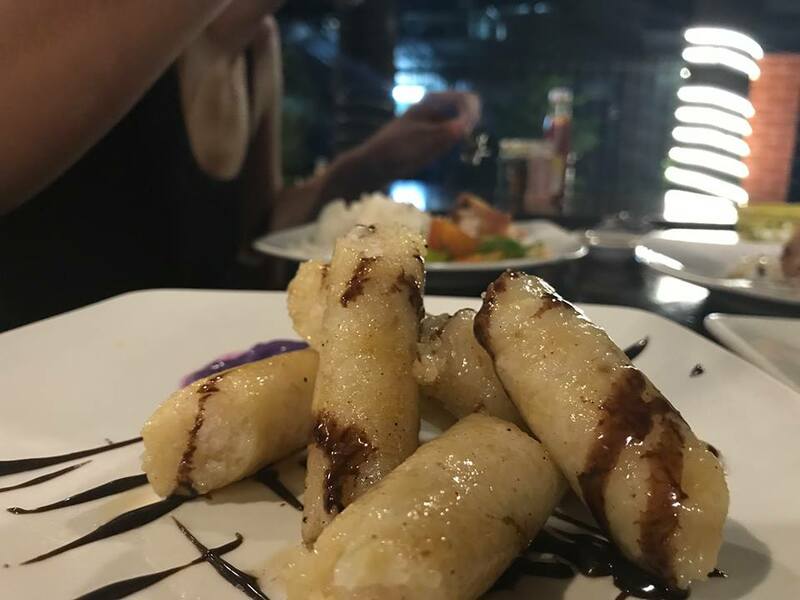 Check their full menu here. 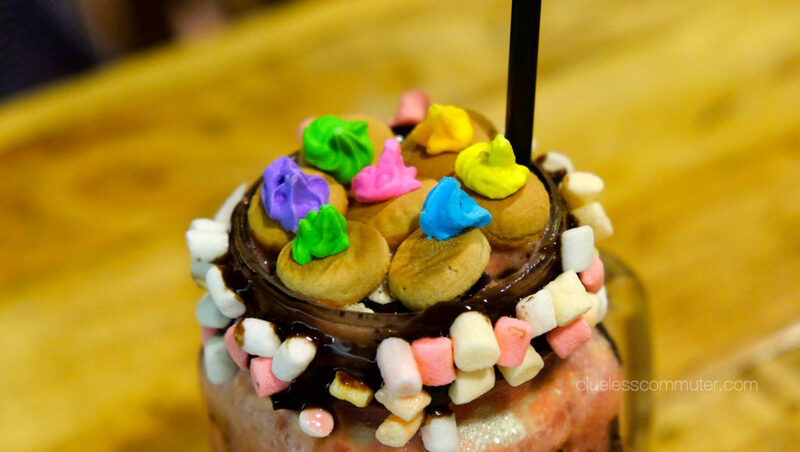 If you’re on a diet, visit on cheat days so you can splurge on extra with their novelty milkshakes. I tried Chocoloco and I did get loco with the choco mallows inside the mug. 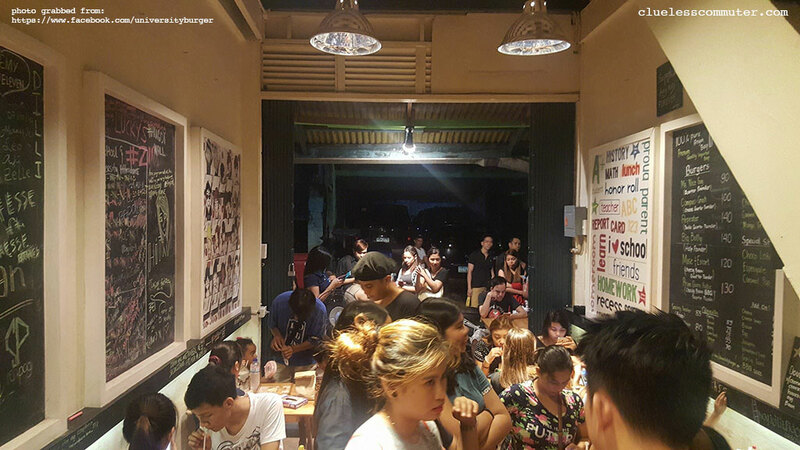 The store has a tambayan setup that can accommodate 4-8 foodie groups at a time. They say there’s more seats upstairs, but I haven’t checked the second floor yet. If it gets cramped, there is a second floor. Otherwise, share a seat and earn a friend! The ground floor can get a bit crowded due to the store’s rising popularity. Make it a consideration if you’re going as a group. If you’re going alone, I recommend just sharing a seat and gaining a friend if the place becomes too cramped. The shop also has reminiscent classroom interior in it. It’s the perfect place to invite your high-school friends for a mini-reunion. Or, you know, invite your highschool crush for a budget date. Take note though, they’re only open from 3pm-2am. I know–you can’t visit them at the normal lunch hour. Just visit them after work, maybe? Also, they said they CAN deliver, but only within Makati’s vicinity. 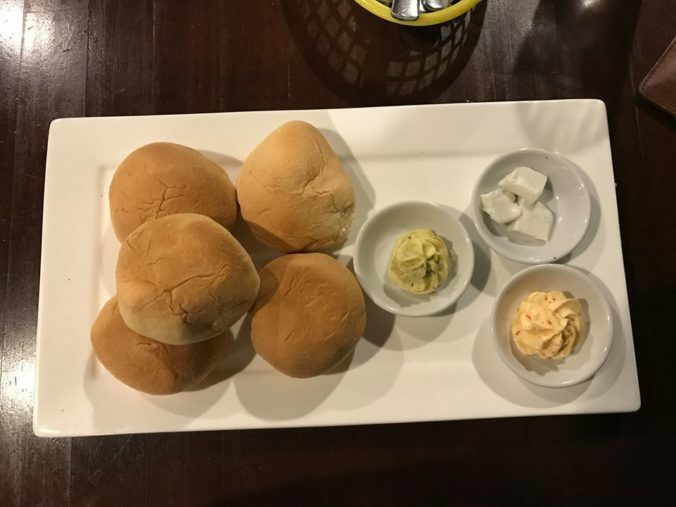 And for a minimum of Php 700. If you could, just visit them so you could also enjoy their grilled burger right from the kitchen. For more details, visit their facebook page. 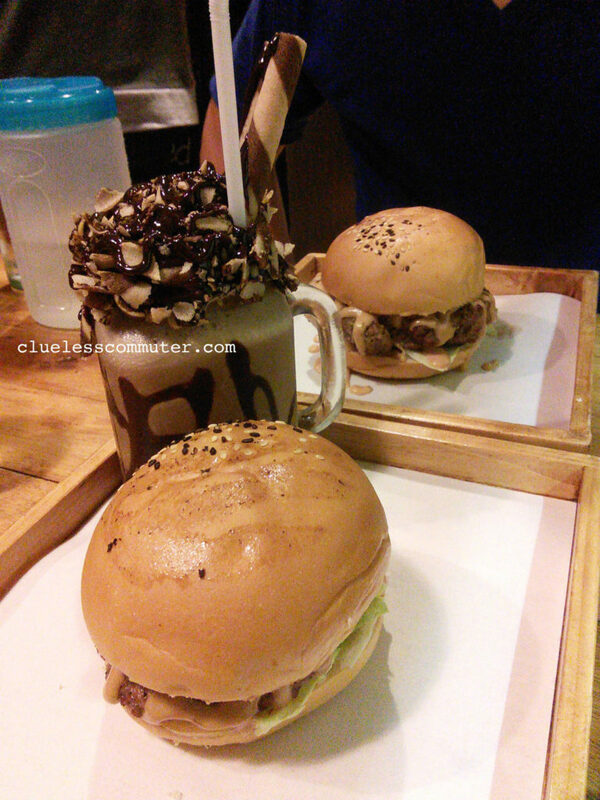 University Burger is the best place to visit when you’re on a budget and you’re still craving for quality burgers. 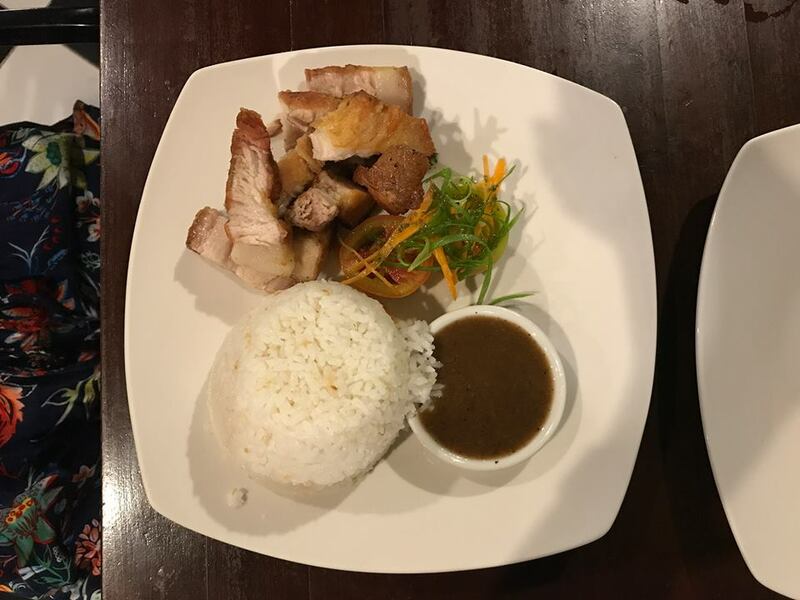 It’s also great if you’re looking for a budget date in Makati during pre-salary periods. Lastly, the store’s interior makes for a fun environment to reminisce school memories. I was actually surprised to learn that some of the owners were my high school batch mates! Got more questions about University Burger? Like their facebook page and contact them!